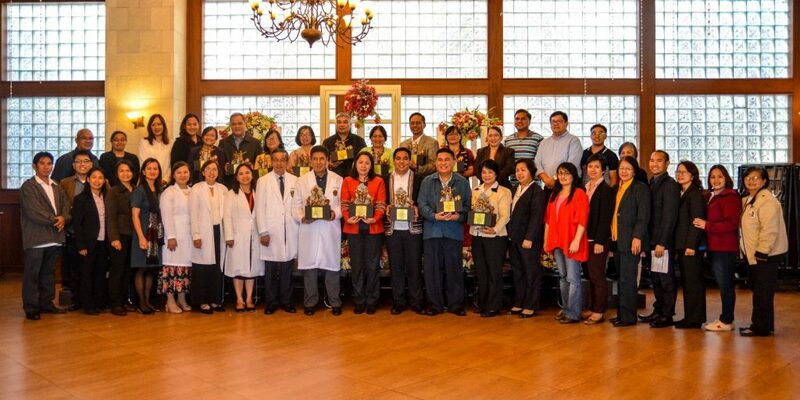 The Cordillera Regional Health Research and Development Consortium, through its Capacity Building Committee (CBC), conducted its Gawad Parangal 2018 on January 14, 2019, at Paragon Hotel and Suites, Otek St., Baguio City. 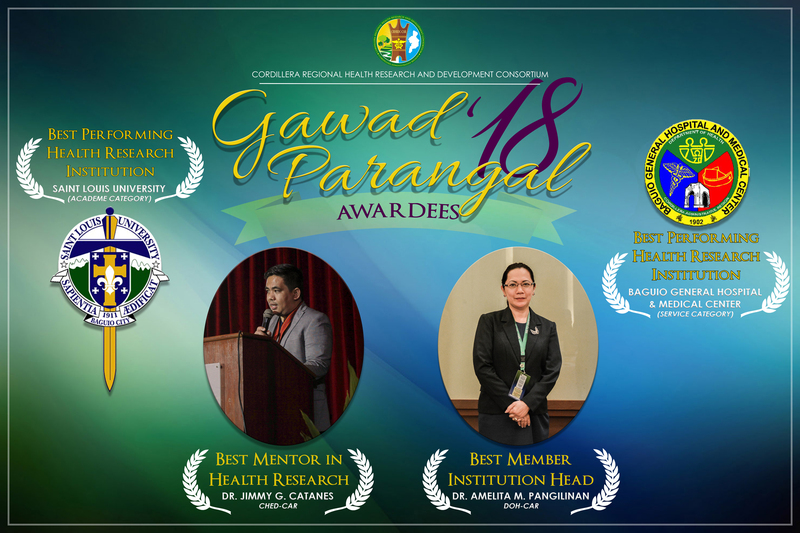 The annual Gawad Parangal (Awarding Ceremony) aims to give due recognition to the nominees and awardees from the member institutions for their exceptional contributions to the health research community. These incentive systems also aimed to enhance the interest and competencies of the member institutions in the conduct of health research. The Best Mentor in Health Research Award recognizes excellence in mentorship that instills passion among researchers, redounding to enhanced relevance and productivity in health research. It is given to recognize the vital role of the research mentor who selflessly shares knowledge and skills, inculcates values and attitudes, and inspires those involved in the research process, thereby creating an enabling environment and contributing to capacity building in research. The Best Performing Research Institution Award recognizes the performance of the institutions in promoting and building research capacity and productivity, as well as its overall participation to the activities of the Consortium for the year 2018. This award has two categories: Academe and Service. The Best Member Institution Head Award recognizes the head of the institution for excellence in promoting and building research capacity and productivity towards achieving collaborative developments in health research in the region.